$6 shipping fee is charged for these units because of extremely low selling price. 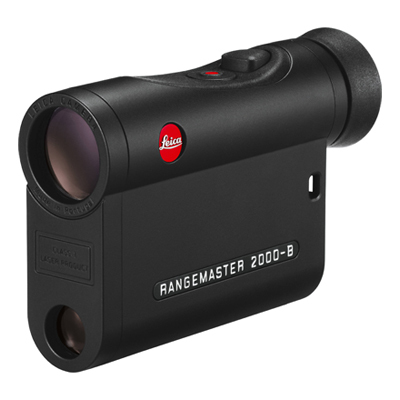 The Leica 2000-B laser rangefinder is capable of measuring 2000 yards and high precision ballistics. It able to measure the equivalent horizontal range up to 1200 yards and provide inches of holdover, MIL and MOA corrections to 1 decimal point. The Leica 2000-B laser rangefinder is capable of measuring 2000 yards and high precision ballistics. It able to measure the equivalent horizontal range up to 1200 yards and provide inches of holdover, MIL and MOA corrections to 1 decimal point. This information is displayed on a four digit LED display in only 0.3 seconds. It features air pressure, temperature sensors and an onboard inclinometer. The Leica optical system that is utilized in the 2000-B offers a crisp 7x magnification with bright, sharp and high contrast images. Weighing only 6.5 ounces and in a waterproof outer shell this rangefinder is the ideal companion for long range or steep terrain ethical shot placement.